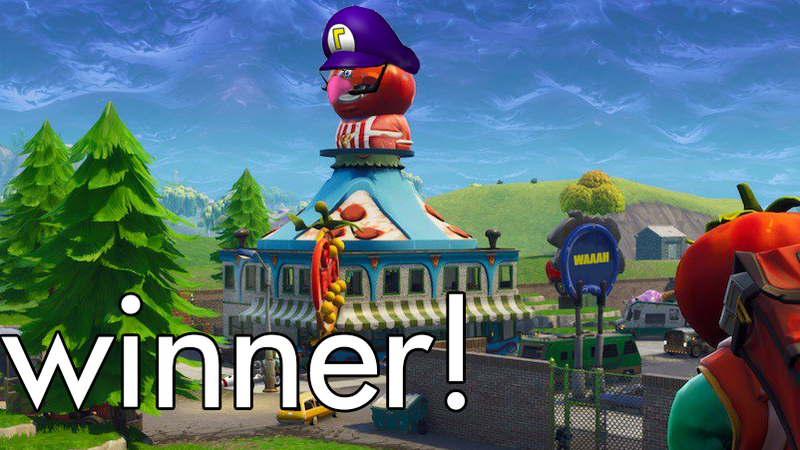 'Shop Contest: Create More Fortnite Mysteries, Winners! Fornite keeps upping the ante with its strange world developments from season to season, and last week’s ‘Shop Contest was all about adding even more mysteries to the pile. I’ve had a chance to play in the altered, post-anchor world of Fortnite since last weekend, and I have to say that the game would be much better if it added in some of the mysteries and changes that our intrepid image editors put into the game. This week’s winner is Drake3011, although I have to say that the thin margin between this piece and the rest of the ones submitted was mostly decided based on how much I like Waluigi. After all, doesn’t it make sense that Nintendo would bring their best character to the game at some point. A mystery is afoot! There were, of course, a large number of excellent entries that I’m including in honorable mentions below, although you should definitely go to the original post to see everything submitted. Fissure18 had a similar thought about the direction that Fortnite might take. Jellybeanman18 made it a little more aspirational and referential, but the same basic idea was there. And netsquire made the executive decision to get Reggie in the damn game! Bob tried to convince everyone that the sky crack was actually our Truman Show Boat moment. sciteach knows where the bus came from. NegaScott128 tracked down Kojima to ask some hard questions about where, exactly, that burger came from. cecil_banon found all of the mystery. Jinkies! Ninoyiya-Ryu turned Fortnite into anime. Is this anime? I’m pretty sure this is anime. Anime. Mage Wage doubled down on anime. Anime? Anime. Luckily that gun is definitely going to stop this giant creature. icantremembermyusernames discovered the hatch, and that’s exactly the reason the sky broke. FyeTitanYT discovered the true origin of both Fortnite and the entire Marvel Cinematic Universe. Done With Kinja asks us to make a choice. Do we want to wake up in Fortnite like this never happened? Or do we want to see how far the rabbit hole goes?